Paulomi is a junior from Connecticut and at Dartmouth she is an Economics and Government major with a public policy minor. Outside of The Dartmouth, Paulomi is involved with Women's Club Lacrosse, the Rockefeller Center for Public Policy, and Women in Business. Paulomi is excited to travel to Antarctica in winter 2018 to study public policy in the field. The third annual “Voices of Summer” production was held last week, featuring a total of 15 acts. Last week, over 40 teachers from across Mexico gathered at Dartmouth for a two-week program led by the Inter-American Partnership for Education, held in partnership with the educational nonprofit WorldFund and the Rassias Center for World Languages and Culture. Rory Gawler ’05 found his passion for the outdoors during orientation weekend of his freshman year at Dartmouth. College medical health providers confirmed through a July 4 email statement to campus that there was a case of mumps among undergraduate students. The Board of Trustees selected Elizabeth “Ellie” Mahoney Loughlin ’89 and Richard Lewis ’94 this past month to join the board. Across campus, King Leadership Scholar Faith Rotich ’18 can be found taking photos of students, staff and faculty for the online publication she co-edits, Humans of Dartmouth. As an undergraduate student at Dartmouth and later at the Geisel School of Medicine, Daniel Lucey ’77 Med’81 wished he had had an environment in which he could learn from his peers, mentors and professors. 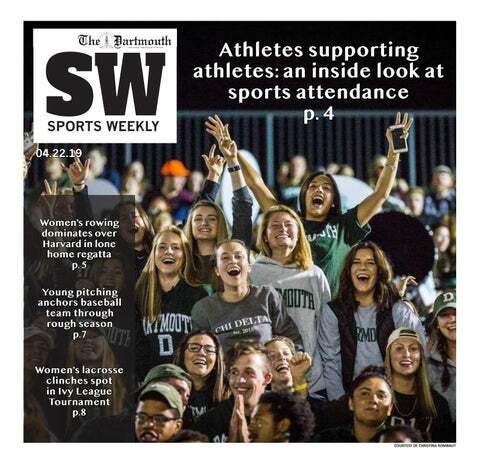 Hanover residents and the Dartmouth community will head to the polls today to vote on nine proposed measures, including an amendment to the town’s zoning laws regarding student residences. Two Geisel School of Medicine students will serve year-long research fellowships. The Doris Duke International Clinical Research Fellowship to conduct research in South Africa represents a lifetime of interest in international travel and global health for Geisel student Lye-Yeng Wong Med’18.